Are you waiting for the “perfect time” to start eating better, exercising or finally getting in shape? Are you putting off that dream trip, new project or that skill you’ve been meaning to learn? Human beings are always “waiting for the perfect time.” But why? For many, it’s a great distraction and justification. It helps us avoid the real – and risky – work of doing. For others, perfectionism and avoidance serve as strong armor against potential embarrassment, criticism and failure. 1. Revise your expectations. Recognize there is no perfect time and there never will be. There is only now. Carve out time, even if it’s imperfect. Nobody will give that time to you. You’ll need to take it. Give yourself permission to make yourself – and your fitness and health goals – a priority. Find the time you need in your schedule. Don’t have time for an hour-long workout? No problem. How much time do you have? Twenty minutes? Ten minutes? Work with what you’ve got. Don’t expect things to go perfectly smoothly. Instead, anticipate and strategize. Instead of waiting for things to slow down, start making something happen right now, in the middle of the mess. Just start. If you feel stuck, just do something. Anything. Find the smallest possible thing you can do right now, in the next five minutes, and do it. Now you’ve started! At my personal training studio, we concentrate on finding “five-minute actions.” Instead of coming up with the biggest, grandest scheme, think about what you could do in just five minutes to help move yourself – even just a tiny bit – in the direction of your goals. Then, go do it. Get support. Let go of the concept of the lone hero. Instead, start building your support systems. Whether it’s a friend or family member, workout buddy or a coach, find someone to fire up your booster rockets until you can fly on your own. 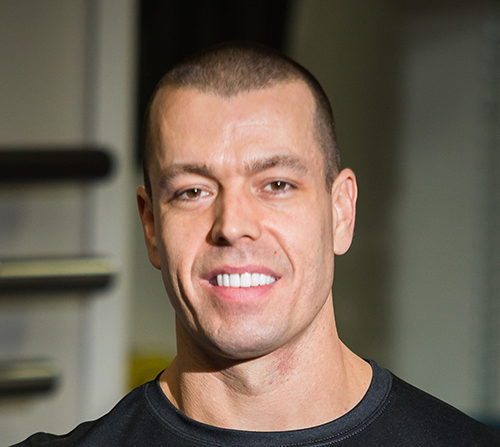 Aaron Gilbert, CSCS, is owner of Longevity Athletics.